Organised Labour has suspended its road map of industrial actions after staging a nationwide demonstration on Wednesday January 20. The Islamic State militant group claimed responsibility on Friday for a bomb attack that killed nine people in Cairo. Wave of kidnappings, violence hampering Congo aid delivery – U.N. 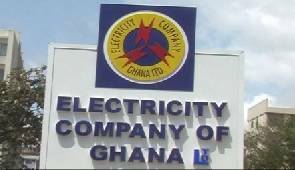 The Electricity Company of Ghana (ECG) says it is taking measures to ensure that wrongful deductions are permanently curtailed.